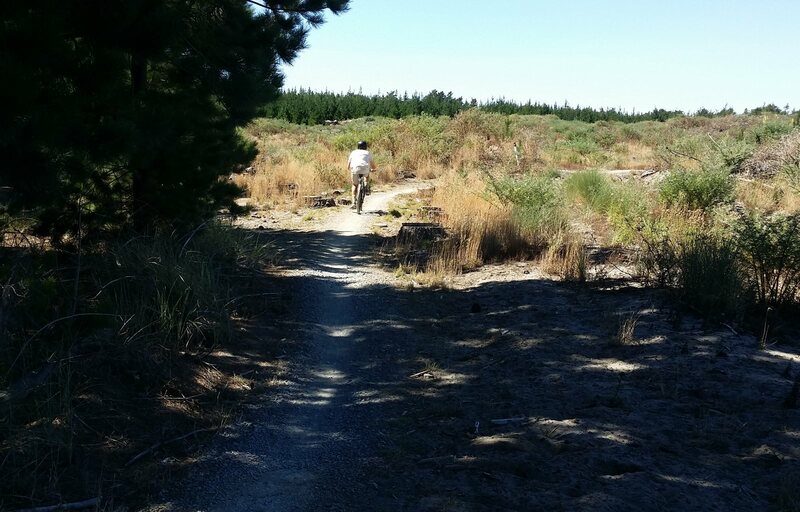 Mountain-biking around Christchurch tends to divide into the hilly bits and the flat bits. 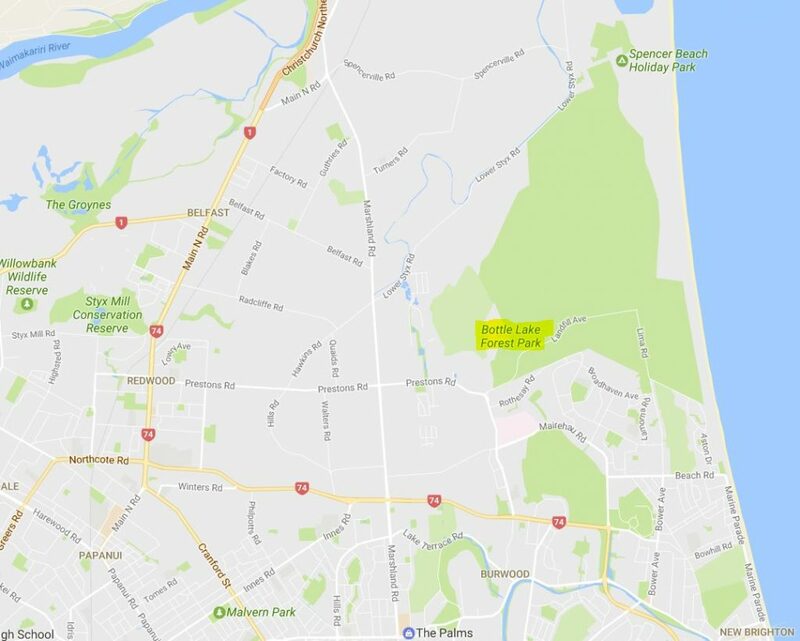 The Port Hills give you plenty of the former (even with the Chch Adventure Park temporarily out of action), while the flatter stuff tends to be closer to the Waimakariri River (e.g. McLeans Forest). Another one in the latter category is an old favourite: Bottle Lake Forest Park (BTW, the name came from a bottle-shaped lake, now part of the local golf course). 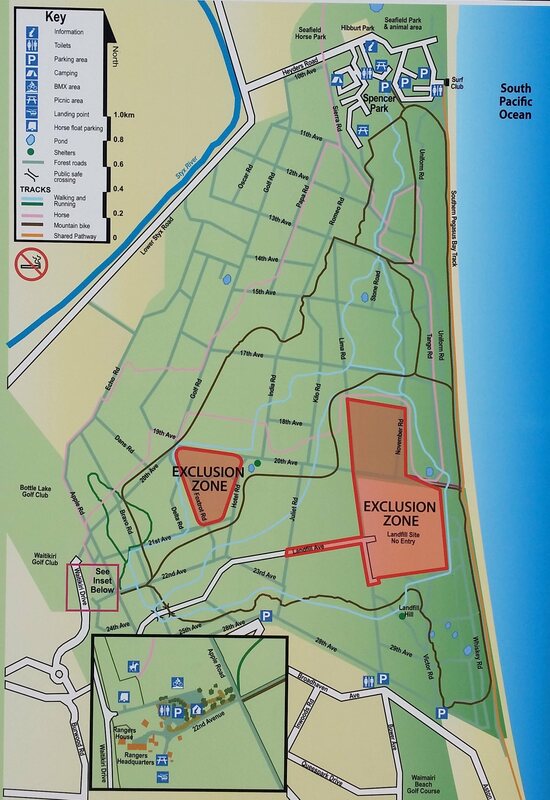 The main entrance to Bottle Lake is easy to get to off Prestons and Burwood Rds in the northeast of the city; you can also access the tracks at the northern end from Spencer Park too. If you want to take your bikes on the bus, the Orange Line gets you pretty close to the entrance, while the 135 bus also links New Brighton. At the main entrance, there is an information centre and refreshment shop. 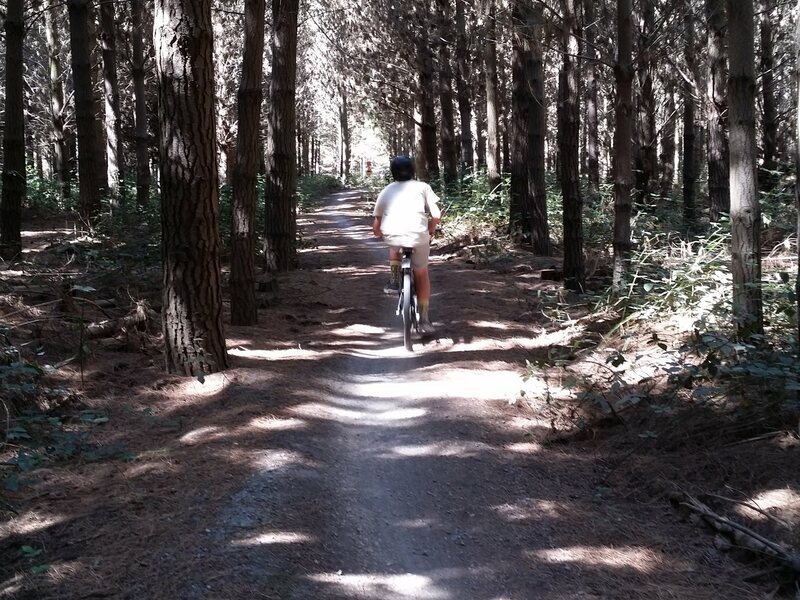 There are three main bike trails through Bottle Lake Forest. However they also criss-cross various walking tracks, equestrian trails, and forest roads. So it’s potentially easy to get a bit confused about which way to go when you come across another track. 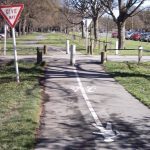 Fortunately, there is a pretty consistent series of marker posts at strategic crossing points to make sure that you know where to go next (and also to make sure that you are riding in the correct direction). With a name like Bottle Lake Forest, it’s not surprising that the area features a lot of trails under a canopy of trees. But it is an active forestry area (and also more recently being used to collect earthquake landfill), so there are also plenty of areas out in the open or with regenerating trees. What’s also a little surprising is that it’s actually quite hilly, at least in the rolling sense. 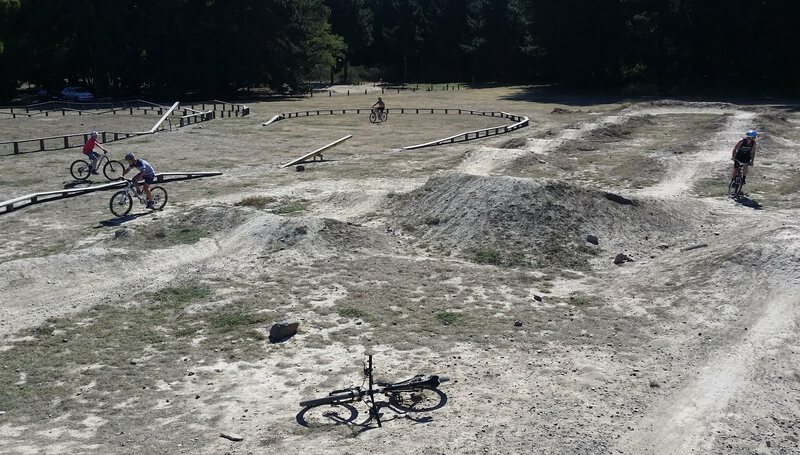 Riders can get plenty of practice with their “swooping” and lots of small climbs where the lower gears might see some action. With the proximity to the coast, another challenge is the greater presence of sandy surfaces, which can make things a little tricky in places to get some traction. To help riders get up and down some of the climbs along the way (and to minimise track damage), rubber matting has often been placed to help. 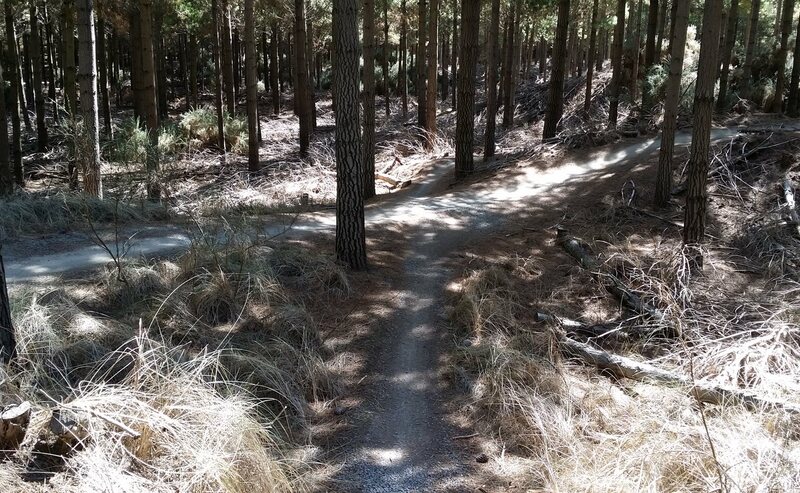 A neat feature of many trail sections is the presence of parallel routes zigzagging across each other. You could have a race with a friend using different routes, or try a different path the next time you come around. 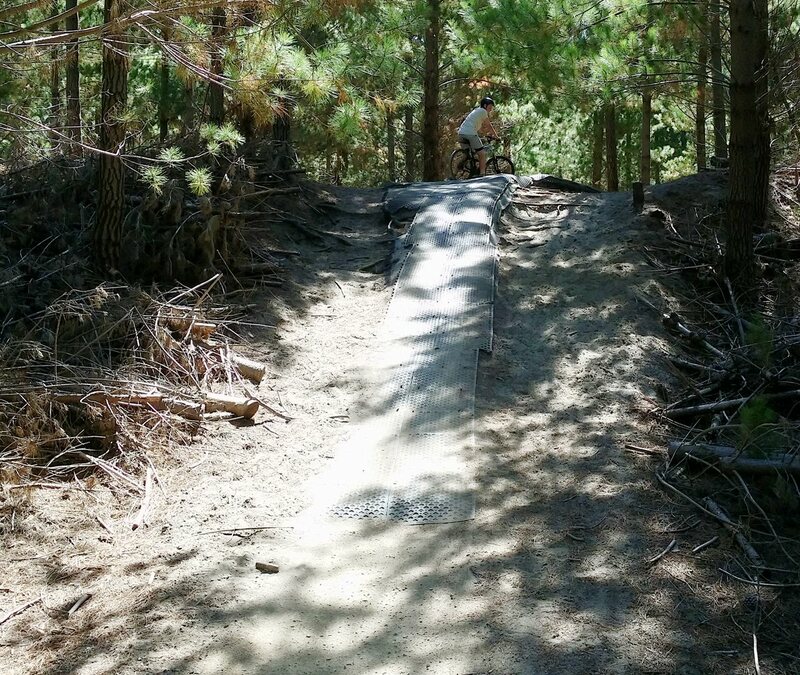 If you’re finished with zooming around the park’s trails, you could entertain yourself further on the pump tracks and balance beams near the park’s main entrance. Quite a challenge but lots of fun! 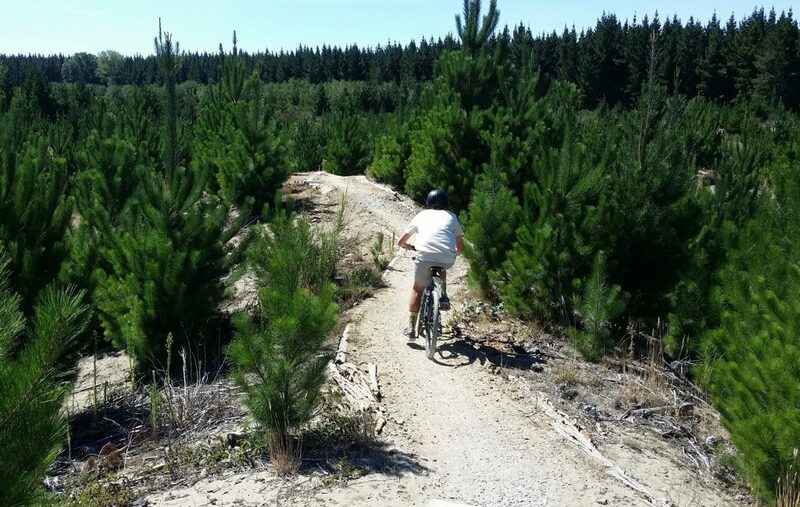 Bottle Lake Forest Park offers a lot of different experiences for recreational riders. It caters particularly well for novices and younger riders, although you still have to keep your wits about you on some turns and hills. 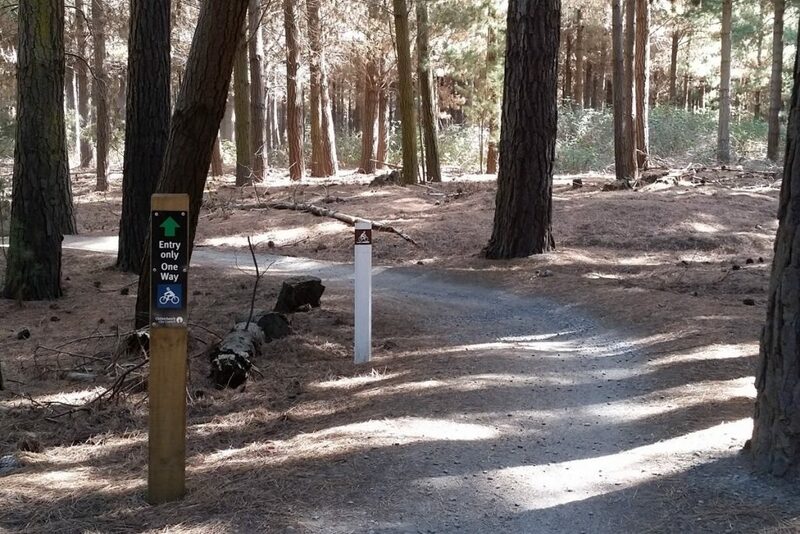 The recent landfill development also offers the promise of some more exciting trails in the coming years – watch this space. If you haven’t paid a visit, it may be well worth a couple of hours of entertainment! Have you ridden at Bottle Lake Forest? What did you think?